Last week, I baked pumpkin bread with the kids at the childcare centre I work at for Halloween. 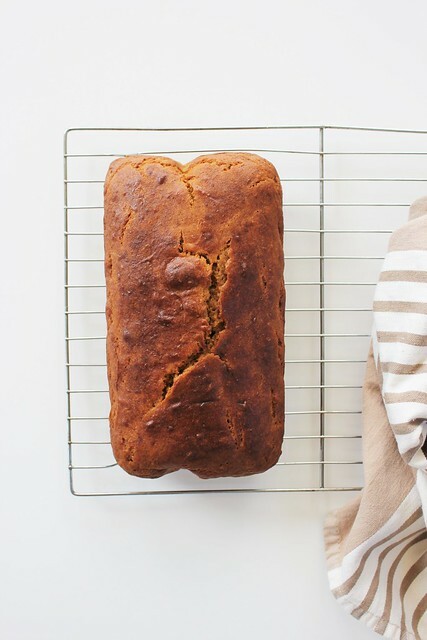 This was the first time I'd ever baked pumpkin bread! We made everything from scratch, pureed the pumpkin ourselves and when it was done I tasted a few crumbs and it tasted pretty darn good! There was quite a bit of leftover pumpkin purée so I decided to take it home and experiment on making my own pumpkin bread that I could actually eat (being gluten and dairy free of course). I decided to adapt the recipe I used with the kids but made a few healthy changes along with obviously substituting the flour for a gluten free blend. I also really wanted to make donuts, because, lets face it, donuts are just better. The results were so impressive I was actually shocked! Usually I can wait to eat my own baking until after I take photos but this time round one got eaten straight out of the oven and the other straight after its glaze icing bath! I had to use all of my will power not to eat the rest before finishing taking photos! 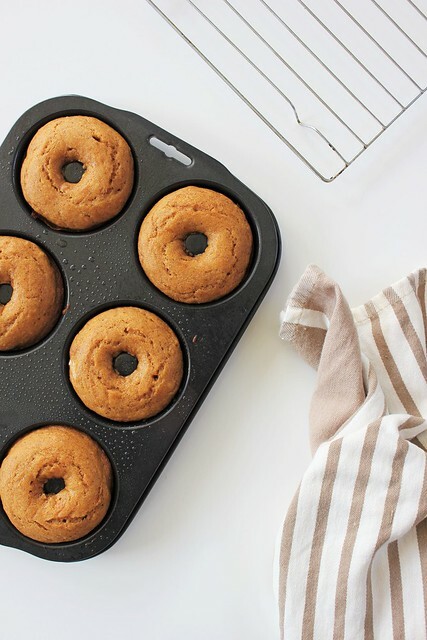 As this recipe is adapted from a loaf recipe and my donut tin only makes six donuts, I used the rest of the recipe to make pumpkin bread. Now that I know the recipe is great, I'll try making the whole lot as donnuts and will update the recipe with how many it makes, although it will always depend on the size of your tin. Preheat oven to 180 degrees C, spray a donut tin with cooking spray or grease with coconut oil and line a loaf tin with baking paper. Combine sugar and oil and add the eggs and pumpkin and mix until combined. Add the dry ingredients and water, alternating and mix until just combined. Spoon mixture into donut tin approx. 3/4 full and pour the rest into the loaf tin. Bake the donuts for 10 minutes or until skewer inserted comes out clean or if making a load bake for 30-45 minutes or until a skewer comes out clean. Leave in tins for five minutes before turning out onto a cooling rack. 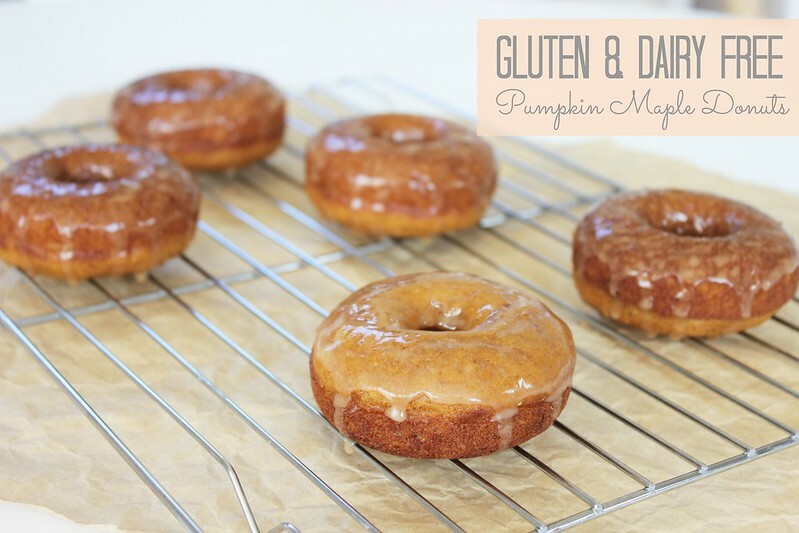 Combine the maple cinnamon glaze ingredients until smooth. Once cool, dip the donuts into the glaze icing and leave to drip off excess on a baking tray. Best enjoyed on the day, the loaf can be stored in a airtight container for up to one week.